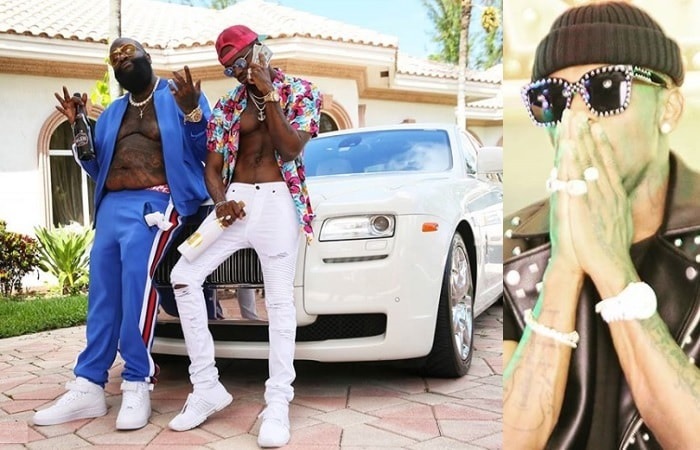 Just days after releasing his Sitomi and Niache songs that were hitting at his second baby moma, Hamisa Mobetto, Diamond Platnumz has again released another record with American rapper, Rick Ross. The song which is trending in Nigeria, Uganda, Tanzania, Kenya, Ghana, and South Africa among others is dubbed 'Waka'. Waka threatens to even be better than Hallelujah that he did with with Morgan Heritage..
Our in-law has taken Bongo flava to the world through these collaboration songs. First, he did Marry You with Ne-Yo which was not bad at all and we thought that was just it, but his Hallelujah and Waka songs prove he is a force to be reckoned with. 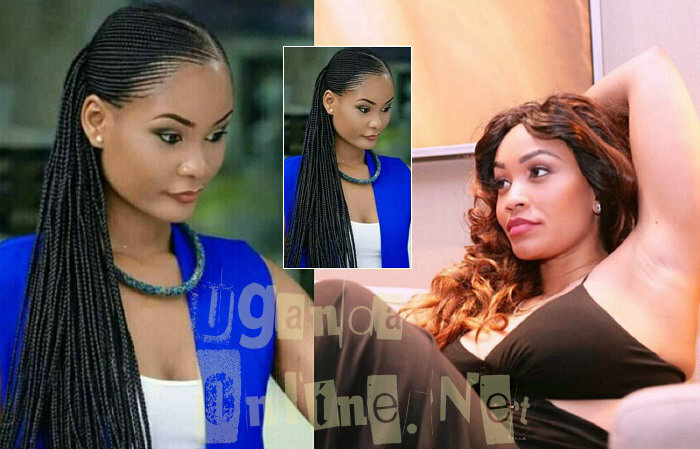 It's not clear at this time if Zari will be joining him for his London shows slated for this Sunday at the Indigo O2. 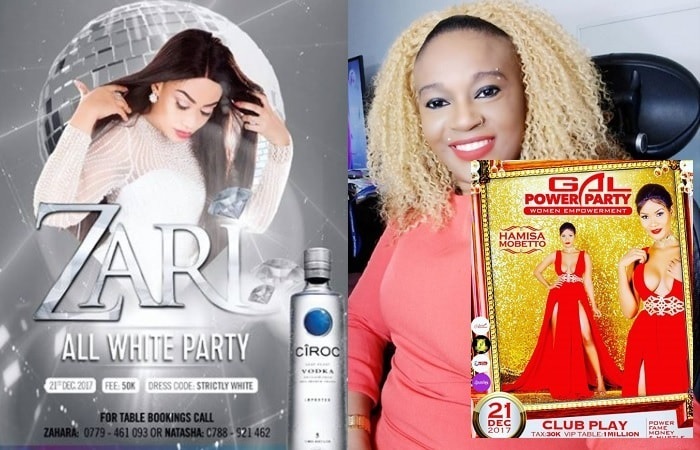 The timing is so tight that four days later, his beautiful wife and mom of his two children, Tiffah and Nillan, will be in Uganda for the mother of all parties, The Zari All White Party. Platnumz has done a lot of in promoting East African music on the global map and so is our very own Eddy Kenzo who is equally doing just that, if only he could land those huge collaborations like "DEE" is doing, that will even be better. 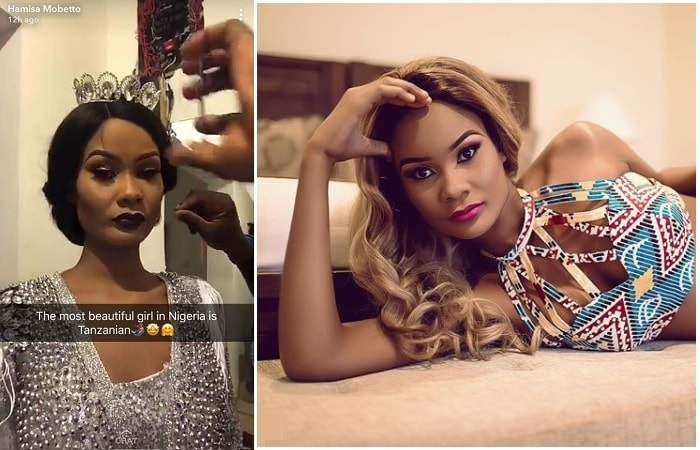 Hamisa Mobetto while in Nigeria opened up a new can of worms when she took to Snapchat to declare herself the most beautiful in Nigeria. she did not like the after effects..